Control goes beyond pure power, it requires absolute adaptability. Complete with the features of a full-fledged console controller, the Razer Serval elevates your android gaming experience to a whole new level. 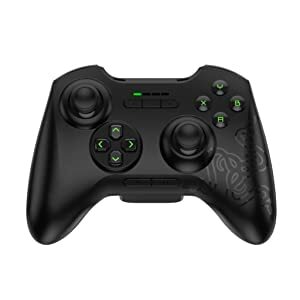 Designed for the Razer Forge TV, this Bluetooth enabled gaming controller has been built with the same precision and ergonomics as Razer’s award winning console controllers. 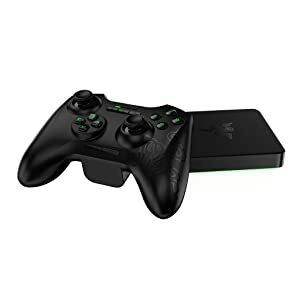 Built with tactile Hyperesponse ABXY action buttons, D-pad, analog sticks, two triggers, and additional Android navigation buttons, the Razer Serval enhances Android gaming with the complete console controller experience. Designed and optimized for comfort and precision, each button executes your commands exactly when you need them to, so you never have to struggle with the lackluster responsiveness of touchscreens as you dominate your favorite games. Snapping your mobile phone into the adjustable game clip, the Razer Serval lets you instantly enjoy gaming-grade controls for next level Android gaming on-the-go. 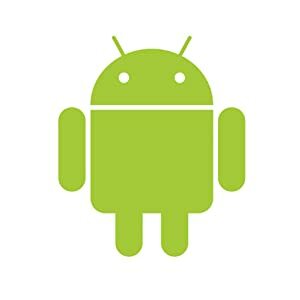 As you’re gaming on your Android console, the game clip lets you use your mobile phone as a second screen where you can watch Twitch, stream your own content, or even access extra apps and controls, all without having to take your hands off your controller. 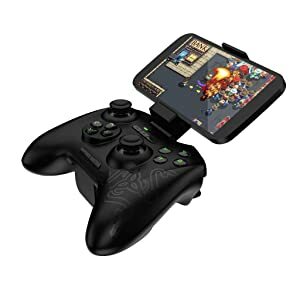 Engineered to be compatible across all platforms, this versatile gaming controller is at its core a device that has been designed for Android gameplay. Featuring the ability to remember up to four unique device pairings, switching between your Razer Forge TV, mobile phone, tablet, and PC is easy as you won’t have to worry about struggling with multiple controllers and settings. The Razer Serval has been engineered for seamless integration with the Razer Forge TV, which fuses together the worlds of gaming and entertainment. With connectivity of up to 4 controllers, you can enjoy the world of multi-player gaming on the big screen from the comfort of your living room. Experience the best of PC gaming from the comfort of your living room, no matter which room your PC is in. 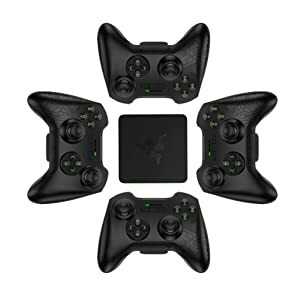 Razer Cortex: Stream enables you to play your favorite PC games by streaming them to your Android TV, then automatically adjusting your resolution according to your connection, so you’ll always enjoy optimal performance on your home entertainment system.